1. How will I know what checks you have done? After each service you will receive a copy of a servicing schedule which clearly identifies any work undertaken or potential areas of concern. Along with the servicing schedule we will also give you a copy of a damp report for your vehicle, which we include as part of our standard service on caravans and on selected motorhomes. Unfortunately you cannot 'pick and choose' which areas of the report are looked at by our technicians – this could lead to warranties becoming invalid, or we risk missing an important safety check. Some aspects of the report may be non-applicable to your vehicle but as the NCC AWS servicing checklists are extremely comprehensive, we price our servicing with the assumption that most vehicles will not have to have 100% of the checks carried out. 2. Do I need to clear my vehicle before a service or do I need any accessories inside? Our technicians will need access to all storage lockers and be able to move freely around the unit. We are happy to work around a reasonable amount of crockery or storage items, but if you are living/holidaying in your vehicle then we ask that larger items of bedding etc are removed for the service. Any vehicle which does not have easy access for our technicians may be charged for the additional time taken to clear and re-load the vehicle. Please note that hook-up cables and water filling hoses may be checked as part of the service – kindly leave all commonly used cables/connections in your vehicle for the technician to check during the service. 3. Do I need to empty my toilet cassette prior to bringing my vehicle in? Should your vehicle be booked in for a habitation service or for service work relating to your toilet then we respectfully request that the toilet cassette is empty. We have chemical waste disposal facilities on site that our customers are welcome to use. Where a technician is unable to complete a particular check due to the toilet cassette not being empty this will be noted on our report which you will be given a copy of at the end of the habitation service. 4. During the service, will the gas appliances in my touring caravan or motorhome also be serviced? Gas appliances will be safety checked but not serviced in a basic service; you can ask for this to be carried out (at an extra cost). Please note some appliance manufacturers will not continue any warranty into the second or third year unless the appliance has been serviced annually (check with your appliance manufacturer). 5. Do you drain the vehicle's on-board water tanks after the habitation service? We will normally ask when checking your vehicle in whether you want any on-board water tanks to be drained down following completion of the habitation service. If you have any specific preferences then please let us know when dropping off your vehicle. Please note that if we have drained down water tanks and toilet flush systems at a customers request, valves and taps may be left open. Customers should check all valves and taps are closed before refilling their water systems. 6. What happens if you find problems or extra work during the service? The service sheet will list any potential areas of concern. In order to allow basic items to be covered (such as replacement gas hoses) we have a £100 maximum limit which allows us to proceed with work without first seeking permission. For any additional work required in excess of £100 we will contact you to explain what is needed and will provide you with an estimated cost. Any parts that are replaced by us during the service will be left in your vehicle. 7. How often should I get my tyres changed? 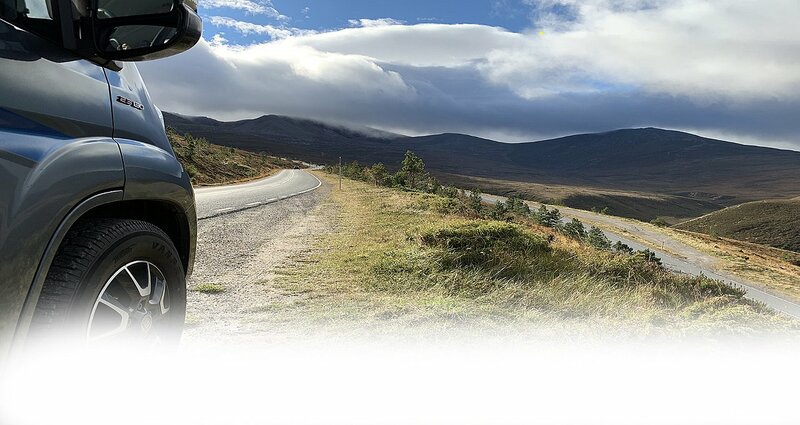 We follow the guidelines set down by the NCC's Approved Workshop Scheme, which recommends that you should have your touring caravan or motorhome tyres changed every seven years minimum. This is in line with the British Tyre Manufacturers Association (BTMA) guidelines and depending on mileage or condition, we may recommend they are changed sooner. 8. Can you carry out MOT's and work on the base vehicle? We do not have the facilities to undertake MOT inspections. 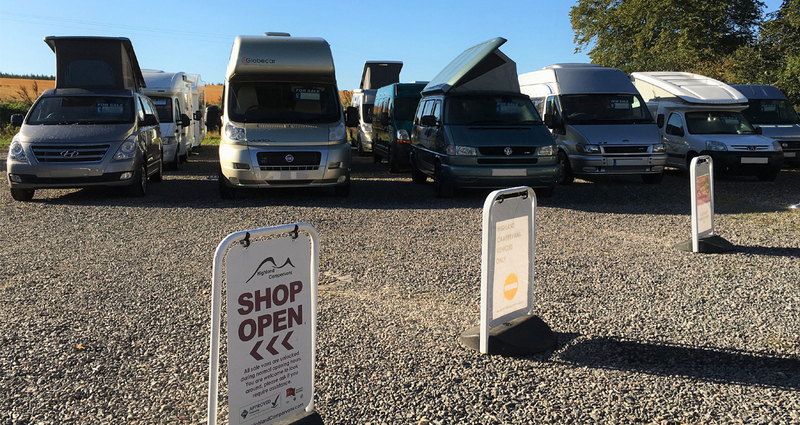 We specialise in the internal habitation units of motorhomes and caravans. We recommend that any major mechanical work on all of our customer vehicles is undertaken by a specialist vehicle garage. 9. Do you have a waiting area? Customers are welcome to bring a book and sit in or waiting area at the end of our shop. Alternatively there are nice walks nearby that we can recommend if the weather is nice and you want to take off for a few hours. Buses to Inverness and Nairn will also pick-up and drop-off passengers from Tornagrain on the A96, which is 400m away from our entrance. 10. Can my pet/s stay in the vehicle when it is in the workshop? Unfortunately we are unable to allow pets to remain in your vehicle whilst our technicians are working on it. We are more than happy for customers to bring their pets in to our waiting area while we work on their vehicle. There are also some woodland walks that we can recommend should any dog owners wish. 11. Can I drop off and leave my vehicle with you for a longer period? Please ask us if you intend to leave your vehicle with us after we finish any work. We have limited parking space – we will try to accommodate your request but this may not always be possible. We would also point out that vehicles are left with us at the owner’s risk, and once parked your vehicle will not be started and so your engine battery could go flat. 12. Is it possible to drop my vehicle off out of hours? Unfortunately we can only accept vehicles for servicing or repair work during our normal business hours, unless exceptional circumstances apply and a prior agreement exists. We undertake a visual assessment for any damage to customer’s vehicles. This inspection is done to protect our customers and ourselves, and can only be done when the business is open. 13. Can I stay overnight? Unfortunately we are unable to offer customers the option to arrive with their vehicle the night before and stay on our yard. We’d be delighted to recommend some nice local sites or areas for wild camping – just get in touch and we can help you choose somewhere for the night. 14. Do you have insurance? We are fully insured for the moving and servicing of our customer’s vehicles. 15. Do you offer a drop off / collection service? Depending on staff availability we may be able to offer a drop off and collection service, although our normal labour rates apply for the time involved. We are fortunate to be on a main bus route with a bus stop only 400 metres away, so it is possible to get in and out of Inverness by public transport. 16. Can I obtain quotes from you for possible work? We are happy to provide quotes for work after assessing your vehicle. As our workshop is busy during the day it is not always possible for our technicians to look at your vehicle without a prior appointment. If you would like a quotation then please contact us to arrange a suitable time – we normally undertake quotation work late in the afternoon. 17. Do you undertake gas and electrical checks on campervan conversions? 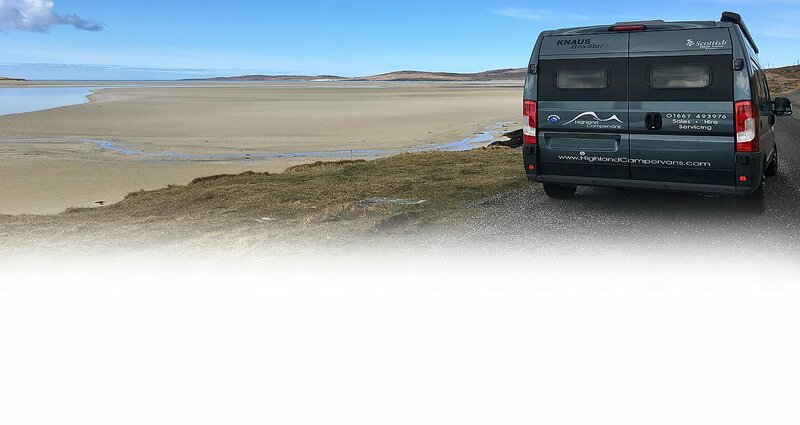 We are happy to undertake gas and electrical checks on known manufacturer campervan conversions. We will undertake gas and electrical checks on campervan conversions done by a recognised company at our discretion. We do not offer gas and electrical checks on any other campervan conversions e.g. home conversions. 18. Are you able to complete servicing on home builds / home conversions? Many people that convert their own vehicles are unaware of the regulations and standards that apply to areas such as gas or electric. We are often asked to undertake a habitation service after a vehicle is built, when gas and electrical fittings are often inaccessible. We cannot check these installations to satisfy ourselves that they meet all required regulations and standards and so cannot undertake a habitation service on home builds / home conversions. We are, however, happy to advise on regulations and standards for anyone converting their own vehicles but ultimately it is the responsibility of the vehicle owner to make sure that these are met. 19. Can you fit parts that I supply? Unfortunately we can only fit parts that have been supplied by us. We aim to be as competitive as possible when supplying parts, however we do realise that sometimes parts can be purchased cheaply via the internet or other sources. Any parts that we supply and fit are usually covered by a manufacturer's warranty, and so in the unlikely event that a part fails within the warranty period we can replace it without cost. Unfortunately as we cannot guarantee the source of any parts purchased directly from the internet or from other sources we will not fit them.